Guitarist Tony MacAlpine (CAB, Planet X, Devil's Slingshot) will guest on the "Rock Dogs" Internet radio show today, Oct 1 at 7:00 p.m. EST. You can stream the show live from MaximumThreshold.net. UPDATE 10/4/08: An mp3 of MacAlpine's interview is now available here. In other "postponed" news - the planned CAB December tour of India has been postponed. The band will still play the Baked Potato on Nov 30th & Dec 1st however. CAB is bassist Bunny Brunel's fusion band featuring Virgil Donati on drums, Tony MacAlpine on guitar, and (in the band's current form) Mitch Foreman on keys. 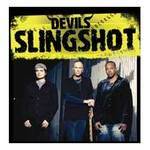 Metal Symphony has posted an audio interview with the heavy fusion band Devil's Slingshot (Virgil Donati, Tony MacAlpine, and Billy Sheehan). Their debut album Clinophobia has just been released on Mascot Records. UPDATE: Virtuosity One has posted a review of Clinophobia. 15th December 2007 – The Taj Krishna., Hyderabad. DEVIL'S SLINGSHOT, the new band featuring Tony MacAlpine, Billy Sheehan and Virgil Donati, will release its new album, "Clinophobia", on October 22 on Mascot Records. The album can be pre-ordered here. Prog/metal/fusion supergroup The Devil's Slingshot will be touring Europe in Oct/Nov in support of a new studio album they are working on. 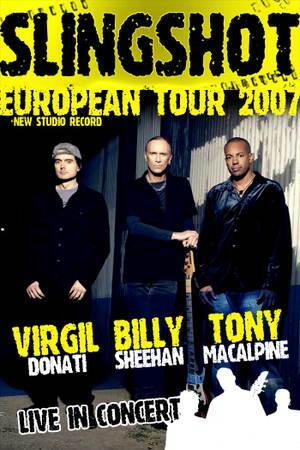 The band features Tony MacAlpine on guitar, Billy Sheehan on bass, and Virgil Donati on drums. The confirmed dates are listed below. NOTE: There are more dates for this tour listed on Virgil Donati's website, but I'm not sure if they are all confirmed.